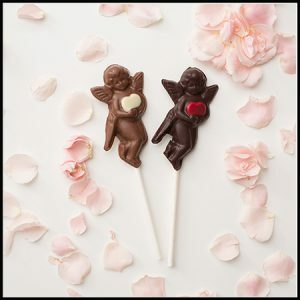 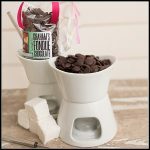 These sweet Chocolate Cupid Suckers are the perfect gift for your Valentine! 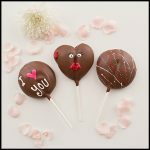 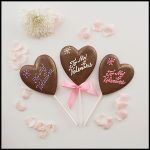 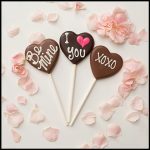 They come in either milk or dark chocolate, each with a hand-painted heart in a variety of colors, each tied with beautiful Valentines-themed ribbon. 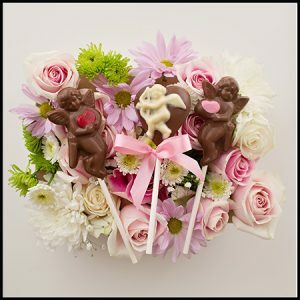 The perfect gift for children, or even as an add-on to one of our beautiful heart boxes!